Judith Weir, the first woman to be appointed Master of the Queen's Music. #gamergate and women on the web in 2014. What has happened to the search for the school girls kidnapped by Noko Haram in Northern Nigeria? On the set of the film of Vera Brittain's autobiography, Testament of Youth. 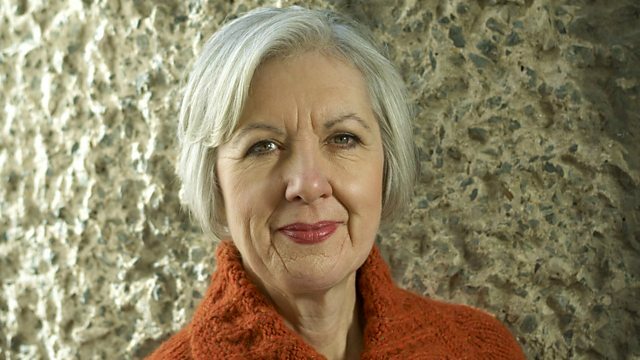 Almost 6 months after being appointed to one of the most high profile jobs in classical music, composer Judith Weir talks to Woman’s Hour about her role as Master of the Queen’s Music. She’s the first woman ever to have held the post in its 400 year history. How optimistic is the composer about the state of music making in the UK? And how will she put her stamp on the role? It’s eight months since the shocking kidnap of 276 girls from their boarding school by Boko Haram in North Eastern Nigeria and so far no one has managed to #bringbackourgirls. We talk to Oby Ezekwesili who is continuing to raise awareness of such atrocities. What do online controversies like #gamergate (about the video games industry) and #shirtgate (Rosetta scientist Dr Matt Taylor’s shirt) tell us about the position of women on the web? We talk to author and video games creator, Naomi Alderman, and columnist Milo Yiannopoulos. A new film tells the story of the First World War through the eyes of a young woman. Testament of Youth is an adaptation of Vera Brittain’s memoir of the devastating effect which the conflict had on her life and on the youth of her contemporaries. In the film Vera is played by Alicia Vikander and her fiancé – Roland Leighton – by Kit Harington. Earlier this year Louise Adamson visited the set of Testament of Youth as filming was coming to an end and met some of those involved in bringing Vera Brittain’s story to life. The film of Testament of Youth goes on general release on January the 16th.